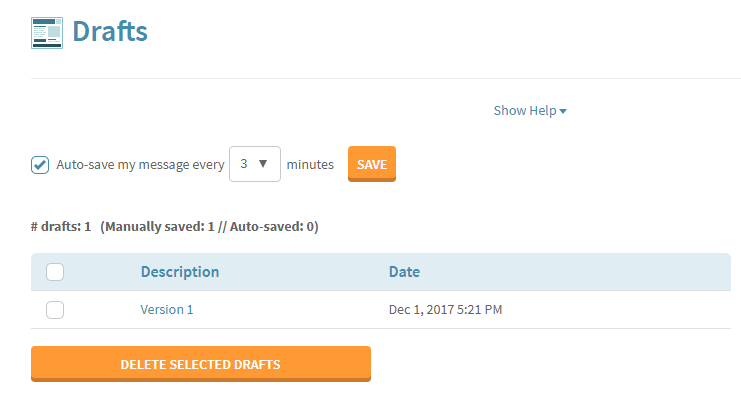 How do I save an e-mail I'm working on as a draft? Click "Save as Draft" at the top of the "Compose Newsletter" wizard. We can also auto-save your work every couple of minutes. To configure this setting, choose "Drafts" under the "Send" tab.